Have you ever found a website while browsing the web on your iPhone only to find that the text was so small you’d rather read it on your Mac? Or, have you ever started to read a web site on your MacBook Pro, but wanted to finish reading it on your iPad while in bed? 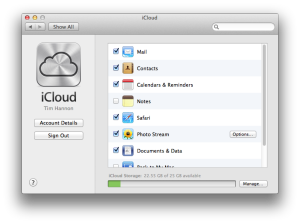 Apple has provided a simple solution with the introduction of iCloud Tabs. iCloud Tabs is an easy way to see all your open browser tabs in Safari across all your iCloud-enabled devices. 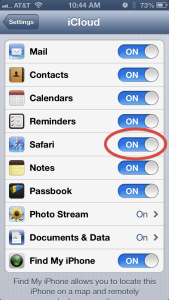 (If you aren’t familiar with using Tabs in Safari, please read this brief explanation.) Once it’s set up on each of your devices, tabs from other devices simply show up. Instead of having to email that link from your phone to your Mac, you can open the page in Safari on your iPhone, then go to your Mac to see the same page on your computer. Activating iCloud Tabs is easy. Let’s look at the system requirements first. 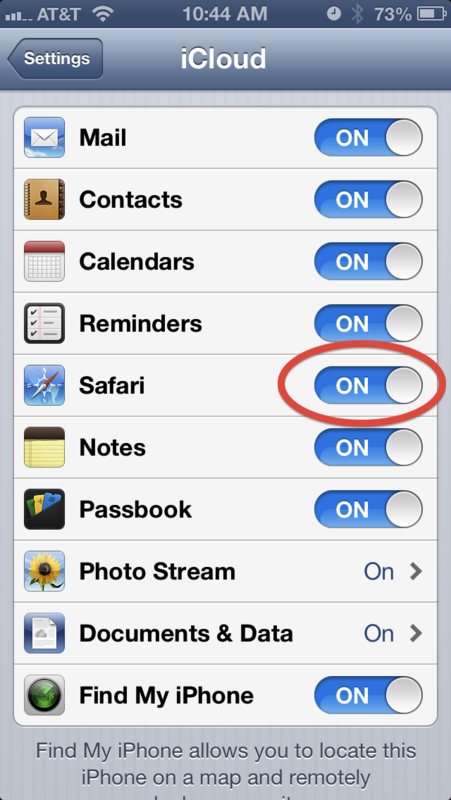 iCloud Tabs works using the Safari browser on Mountain Lion (OS X 10.8) or later on a Mac and iOS 6 or later on the iPhone or iPad. You must also have a free iCloud account to use this feature. If you’re not already logged in, do that now. If you don’t see the cloud icon in the top left corner of the window, go to the View menu and choose Customize Toolbar. From there, drag the cloud icon into the toolbar of your Safari window and click Done. Access your open tabs by clicking on the cloud icon in the toolbar. Access your open tabs by going to Safari and tapping on the bookmark icon. (See image below.) From the main bookmarks screen, tap on iCloud Tabs. It’s that easy. Now you can see all open Safari tabs across all your devices. 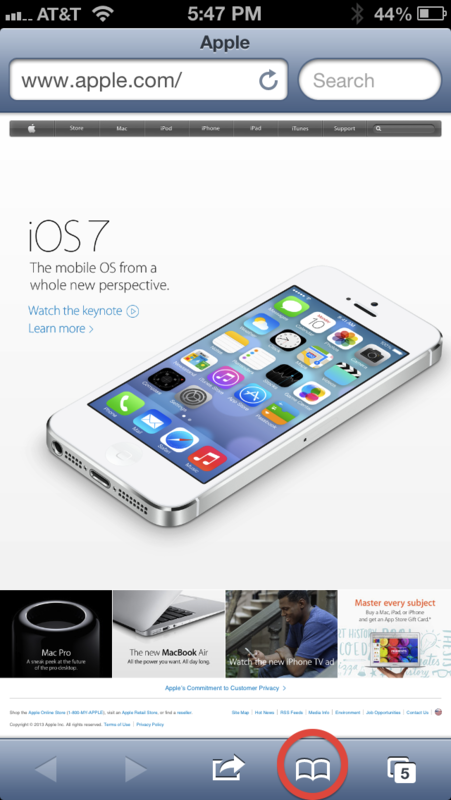 Read more about iCloud tabs, iPad, iPhone, Mac OS X, Mountain Lion, safari, sync, tabs.